Happy Lunar New Year! 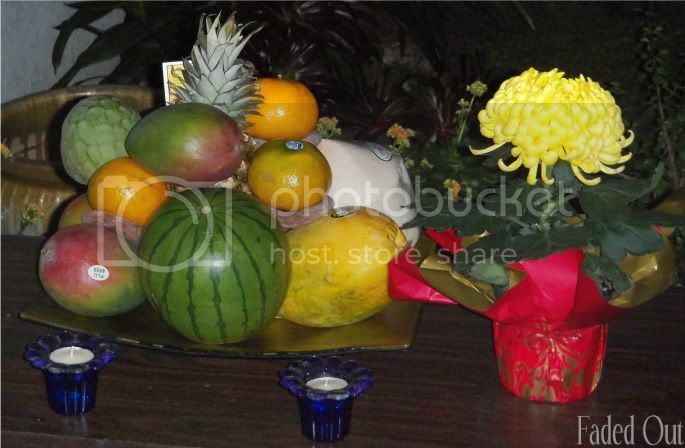 Every night before the Lunar New Year, my mom sets up a table with fruit offering outside our front door and lights up candles at midnight. Usually I have to wake her up at midnight because she would fall asleep before then while watching TV in her bed. This year she said she went to temple with her friend and didn’t come home till 11:30 so she was still awake and I didn’t need to wake her up. Other than that and having rice cakes, my family doesn’t do much else to celebrate – I know some families have extravagant dinners, yum!